If you are a very choosy traveler that expects only the best service, complete hotel amenities and a great location in Palawan, you might want to consider the Apulit Island resort. This is one of the few luxury Palawan hotels located in Taytay Palawan. It has 50 over-water resort suites. The resort sits on a sprawling beachfront property with its own private cove. Wildlife and sea-life are unspoilt ad guests will enjoy snorkeling or scuba diving in the area. These amenities are offered by the hotel as well as sailboarding, fishing and crabbing. Those who want to explore wildlife on land can job or walk around the complex and nearby hiking trails. Rooms are well appointed with luxurious amenities that give off both a modern feel and traditional comfort. The resort also offers al fresco dining with a view of the ocean and island forests. 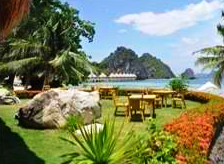 If you are looking for luxury hotels in El Nido Palawan, you will surely want to consider alternative Palawan Hotels in nearby islands that also offer the same. if not better accommodations. If you are searching for something different for your next vacation in Palawan, you don’t have to look for hotels in the usual places. Instead of staying at hotels in Puerto Princesa Palawan or at beach resorts in Coron or El Nido, consider heading for another part of Palawan that you have not explored yet. Places like Taytay make good choices for vacation off the beaten track. 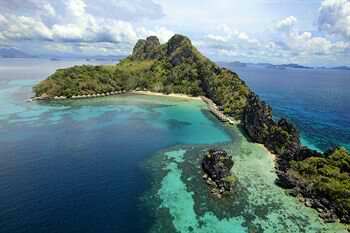 Flower Island Resort is located in Tatay, Palawan. It is an exclusive hotel that is a little remote and hidden in Taytay Bay. 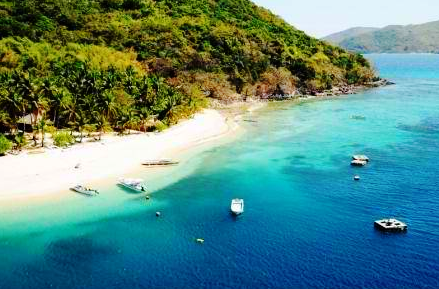 Since it is not as commercialized as other areas in Palawan, it still offers rich resources and natural surrounding. Foliage are thick and marine life abundant. It is a great place to snorkel or dive. You can also take a tour of the nearby pearl farm or take advantage of the resorts spa services. Other activities you can look forward to include kayaking, table tennis, French bowling, volleyball, darts, pedal boating, and paddle boarding. This remote and very private resort has its own restaurant and spa on-site. It is just as good and well-equipped as other hotels in Puerto Princesa Palawan or other popular Palawan hotels in Coron or El Nido.